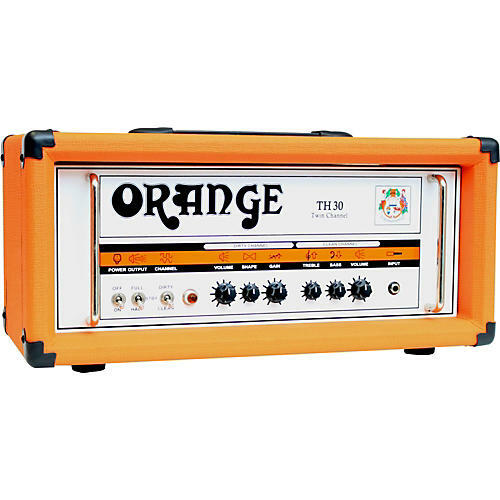 The all-tube Orange TH30 guitar amp head offers a phenomenal tonal range for use in the studio environment. It's got Clean/Dirty channels with switchable 7W, 15W, and 30W outputs. The TH30C is loaded with 4 ECC83 preamp tubes, 4 EL84 power amp tubes, and an ECC81 for the tube-buffered FX loop.